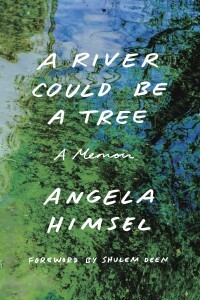 Angela Himsel grew up as one of eleven children in an evangelical family that lived in rural Indiana. The Worldwide Church of God informed her thinking and fulfilled her spiritual needs. Yet she eventually went to Israel, married a Jewish man and is now a practicing Jewish woman. She talks to Lilith Fiction Editor Yona Zeldis McDonough about her unusual journey. YZM: Did you know many Jewish people when you were growing up? AH: There was one Jewish family in my town. I was acquainted with them and knew they were Jewish but didn’t fully understand what it was to “be Jewish.” They could have been Albanian. Being Jewish didn’t imply anything to me, neither positive nor negative. YZM: When did you first understand that many of the holidays you celebrated were also celebrated by Jews, and how did this make you feel? AH: I didn’t fully understand that Jews were also observing the same holidays until I went to Israel. Then, because I was still Christian, I thought that Jews got points for celebrating them, but since Jesus wasn’t a part of the holy days, they didn’t fully understand their meaning. I believed that each of the holidays was directly connected to Jesus. The sacrifices on Yom Kippur paralleled his blood sacrifice. And so on. So I felt that Jews were correct to celebrate the holidays. Unfortunately, they missed a central component: Jesus. YZM: You went to Israel when you were in college—what propelled you to go? AH: I’d intended to go to Germany for a year abroad, since my familial ancestry was German. But when I saw a brochure for Israel at Indiana University’s Overseas Office, I was drawn to spending an entire year on the same soil where the Biblical characters had walked. Also, I was questioning my church’s stances on a number of doctrines, and I thought simply being in Israel, which I viewed as a very holy place, might help me resolve my questions. YZM: How did your family react to your conversion? AH: In a word, fine. By the time I decided to convert, I’d spent two years in Israel and had gone back several times since then. They were aware that I no longer attended church and that I was interested in Judaism. In my family, once you were 18, you were “of age.” You could make your own decisions – to go to college, go to work, get married, move out, whatever. YZM: You talk about the different “complicated ways” of being Jewish; what did you mean by this and with which ones do you most strongly identify? AH: I originally viewed Judaism as a religion but came to realize that for many born Jewish, they can identify as Jews without practicing Judaism or even believing in God. This was eye opening! At first, I thought that Judaism had to be a component of anyone’s Jewish identity. I now understand that “it’s complicated.” You can be a Zionist Jew, a secular Jew who rarely goes to synagogue, a Jew who keeps kosher in the house but eats everything outside of the house. You can be a Jew who identifies with other Jews because of shared history, and a Jew who has little cultural, historical or religious background but nonetheless feels very Jewish. And I’ve come to understand that how we define ourselves as Jews is our business. What may seem hypocritical to others is perfectly logical and fine to us. I think that in that sense I am very Jewish – I pick and choose what parts I identify with, and which parts not. But ultimately, I am someone who feels closely connected to Judaism as a religion.